Max Kurzweil founded, along with Klimt and other artists, a movement named The Vienna Secession, who rejected the conservatism of the Viennese Association of Artists, almost completely oriented to the history painting. The secessionists were influenced by the French impressionism and make it known across all Austria. According to the information of the articles, the secessionists take from the impressionists the use of bright colors, but personally, I don’t think this is one of the characteristics of the French movement. Whatever the reason, we have no doubt of the vibrant colors of the painting Woman in a yellow dress. I it, we can see the artist’s wife posing relaxed on a couch. 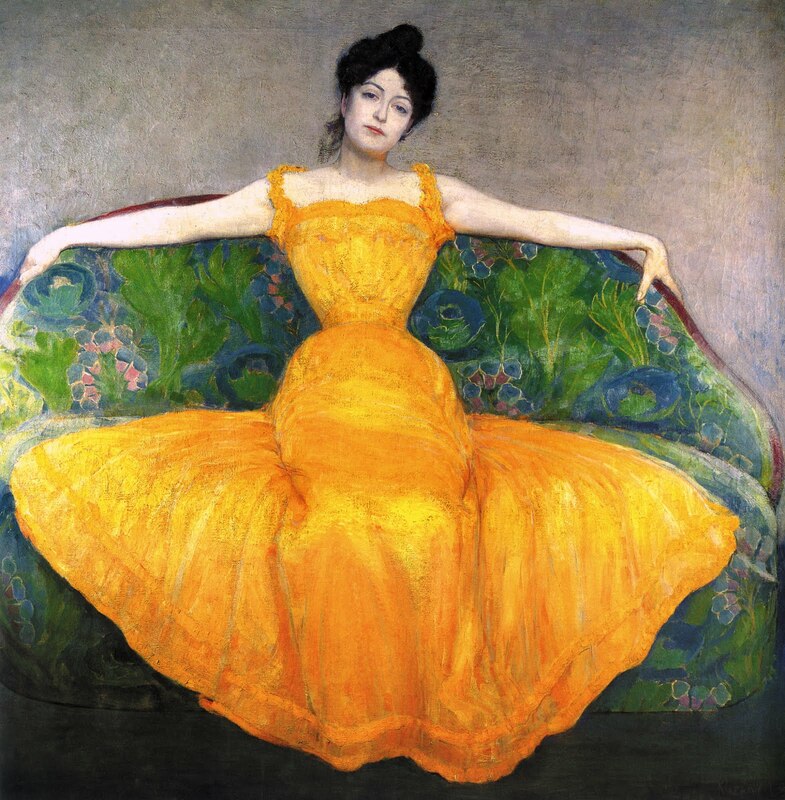 The yellow color of her dress is highlighted above any other characteristic of the work as it contrasts with the tones of the couch; and the background, undifferentiated and faded, intensify this effect. The sad and resigned expression of his wife in the work prophesies the dramatic end of the artist’s life who, after killing his lover, commits suicide in 1916. ~ by Álvaro Mazzino on February 23, 2011. Slicing the packaging open will let you scoop out the last bit of product. going out of business and they are having a big sale. The update has moved on to a number of different devices. Big names like the Galaxy Note 4 and Galaxy S4 have been upgraded but so have other lesser known devices like the Galaxy Alpha. This entry was posted on February 23, 2011 at 10:43 and is filed under Art nouveau.You can follow any responses to this entry through the RSS 2.0 feed.You can leave a response, or trackback from your own site.